As you’re almost undoubtedly aware, the band folded when Geldof set up both Band Aid and Live Aid, before working in the world of TV production and doing a lot of work for charity and famine relief. 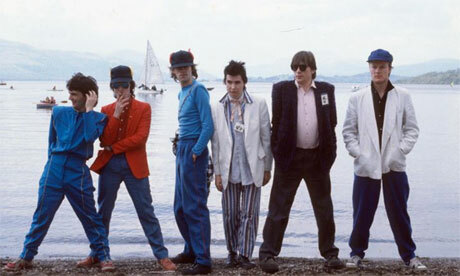 The band are now back together and October 21 will see all of their six studio albums re-issued – The Boomtown Rats (1977), A Tonic For The Troops (1978), The Fine Art Of Surfacing (1979), Mondo Bongo (1980), V Deep (1982) and The Fine Art Of Surfacing (1984). This album is the twelfth album from the Bradford institution, and thirty years since the release of their debut single ‘Bittersweet.’ And it finds them firing all all cylinders – lyrically, musically, and creatively. Though the band have been victim to a lot of lazy and stupid journalism over time, the reality is that they were -and are – a band with a huge cult following, and who follow their own path. 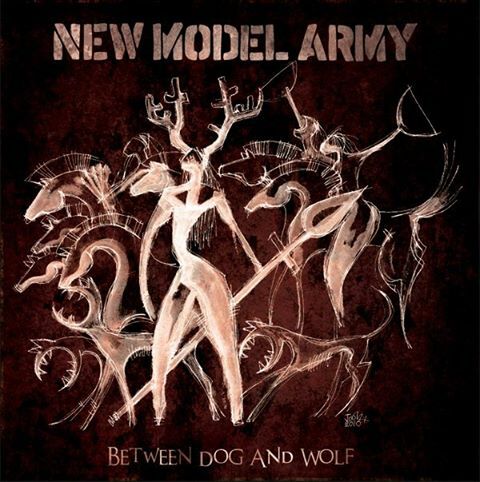 Variously lumped in with punk and post-punk, folk, metal, goth – the reality is that New Model Army aren’t bothered by changing fads and fancies and pursue their own interests musically. They’ve taken on board hip-hop influences (check out ‘You Weren’t There’ on 2000’s Eight or ‘Inheritance’ on 1989’s Thunder and Consolation), without the embarrassment that usually entails when rock bands try and do this. They’ve always stretched their horizons, and the reality is that right from the opening ‘Horsemen’ they’re using more voices – not just Justin Sullivan’s, more drums and just, somehow, more everything, without the album ending up overblown. 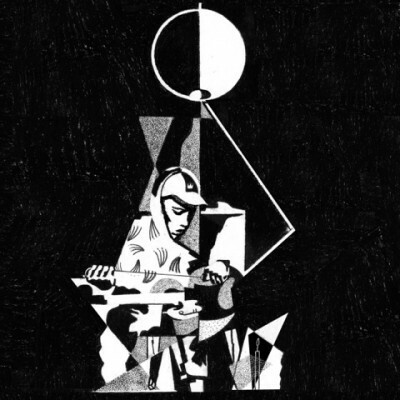 And this spirit continues through the album. There’s a number of excellent songs on here – my personal highlights would be ‘March In September’ ‘Lean Back And Fall’ and ‘I Need More Time,’ though the likelihood is that their fanbase (of which I am proud to include myself) will have their own favourites. Perhaps best known for Thunder and Consolation, the band may hold a mirror up to the reality of the world around them, and yet rather than a nihilist ‘we’re all doomed’ they continue to offer a way forward, together. And – many years after they left major labels behind – produced one of their strongest efforts to date. 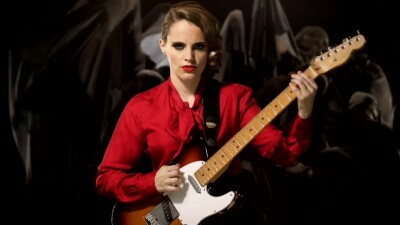 In 2011, Anna Calvi appeared with her self-titled debut album, bewitching many who heard it, not least Jarvis Cocker, Nick Cave and Brian Eno. 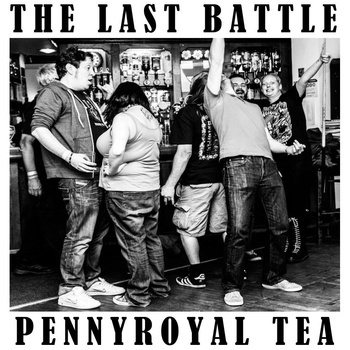 The Last Battle remain one of my favourite bands, and not just because I put out their debut, either! their second album will be ready when it’s ready, but for now, check out their take on Nirvana’s ‘Pennyroyal Tea.’ Nirvana’s version originally appeared on their third and final studio album, In Utero, which as you have probably noticed, is just celebrating its twentieth anniversary. 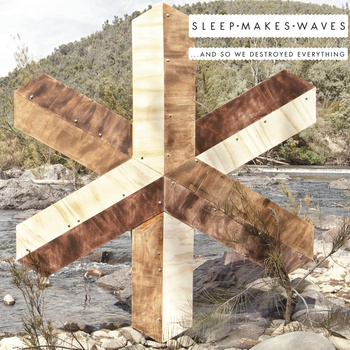 It’s probably fairly easy to lump this Australian band in under the post-rock banner. But this record is astonishingly self-assured, and so utterly wonderful. Like a fair amount of post-rock, this is an instrumental act, but the music really does, umm, speak for itself. It’s music to lose yourself and find yourself in, music that at times is euphoric, at others unbearably sad. And it’s an album that reveals more on each subsequent play. It does, of course, benefit from repeated plays. Not just because it reveals a little more of itself each time, but because when you have finished playing it, you know you’re going to want to hear it again. And if you haven’t heard it yet, then you should. It’s not just another post-rock record, there’s something truly brilliant here. If they have destroyed everything, then the ashes are truly beautiful. …and so we destroyed eveything is out now on Monotreme. There’s something rather self-deprecating about the title of this, Mark Lanegan’s eighth studio solo album, and an album of covers. It’s almost as if he’s worried about how it will be perceived. Cover versions can end up flat on their face and an entire album’s worth can be disastrous. Of course, some can become so famous in their own right and take on an entire new life of their own. Trent Reznor has conceded that ‘Hurt’ belongs to Johnny Cash not Nine Inch Nails now. Sometimes it’s the arrangements that owe as much – for example, ‘Hallelujah’ is a Leonard Cohen original and most people will tell you that Jeff Buckley’s version is the definitive; the Buckley version is as much a cover of John Cale’s arrangement as it is of Cohen’s original. Lanegan doesn’t need to be self-deprecating, because this is a gorgeous record in its own right. Some of these songs are those he picked up from his parents’ music collection, others that are more comparatively recent, like Nick Cave’s ‘Brompton Oratory’ or Hall & Oates’ ‘She’s Gone.’ ‘You Only Live Twice’ was originally sung by Nancy Sinatra for the fifth James Bond film of the same name; it has been said elsewhere that it resembles Lee Hazlewood’s version more than the Sinatra version – certainly, ‘those’ strings have gone – and yet the song holds together, frail yet stronger for it at the same time. The song I have kept coming back to on here is ‘Solitaire’ – popularised by Andy Williams and The Carpenters, it could be utter schmaltz in the wrong hands (and I dare say not much digging around the internet will produce a mass of versions that are the very worst sort of karaoke). But in the hands of Mark Lanegan it is as heartbreaking as anything by The Smiths or Joy Division. Like any album should do, it hangs together pretty damn near perfectly. 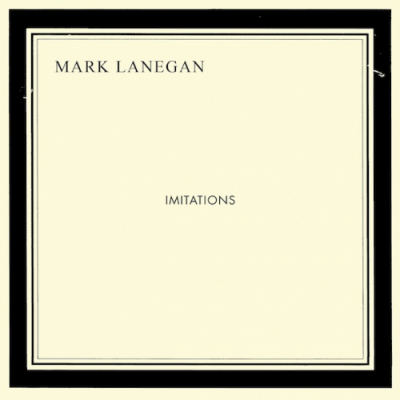 How people react to it will vary on what relationship they have with the individual songs as well as Lanegan’s work elsewhere over the past few decades. But with a huge amount of new releases coming out between now and the end of the year, do not allow this to get lost. Although it was set in place long, long ago that the most anticipated album of 2013 would be Reflektor, the buzz around Scottish three-piece Chvrches most here and across the Atlantic has meant that there’s no little anticipation surrounding this release either. Chvrches stand at that point where indie meets electronica, and musical forbears might be considered to be the likes of Depeche Mode, Dubstar and Saint Etienne, though they plow their own furrow enough that they are far from being derivative. They’ve spoken of their desire to make sure that their debut would not just be anthems like the singles (but when they’re tunes as strong as ‘Recover’ and ‘album opener ‘the Mother We Share’ that wouldn’t necessarily have been an awful record). Tracks like ‘We Sink’ and ‘Science/Vision’ show the different sides to the band, that they can do anthemic and upbeat, but also dark and brooding. It hangs together well as an album and whilst they’ve been hugely popular with taste-makers over the last few months, I would like to think that they could make the leap to mainstream success, because, quite frankly, they deserve to do so. 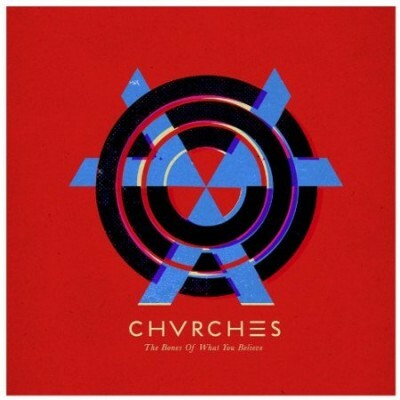 The Bones Of What You Believe is released on September 23 by Virgin. 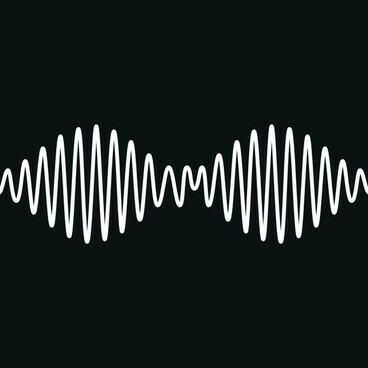 This week, the Arctic Monkeys have made history by becoming the first band to have their first five albums go to no.1 in the UK album chart, released by an indie label. 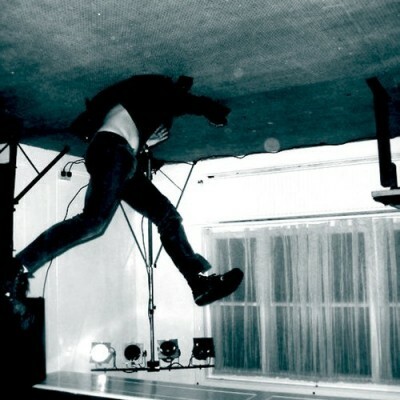 Their new album is called AM (yes, the initials of the band) and mighty fine it is, too. I have come back to an inbox that looks evermore like a disaster zone. Note to PR companies: I am based in Scotland. Therefore, unless you are going to provide me with a plane ticket to New York or a train ticket to London, with appropriate accommodation (yup, it is only me writing this), PLEASE STOP EMAILING ME. One band who didn’t give me a whole lot of spiel are hippies vs ghosts (not sure on the grammar, but if my Mum’s reading this, Mum, LET IT GO). 6. They sound bloody great. it may be a bit quiet round here over the next two weeks as there’s a lot of stuff going on at 17 Seconds Towers.